This is a version of VoxelMap with no mob icons, and no cavemap. Some servers have blacklisted VoxelMap for including these (even though there is a method to disable them). Perhaps they will allow this version (it announces itself as ?VoxelMap No Radar?). If they don’t because of bad memories or lingering ill-will, oh well. Leaving aside whether it is blacklisted or not, perhaps users will feel more comfortable using this version if it feels less cheaty to them. If you want the version with Mob Icons and Cave Mode, get it at the usual place. 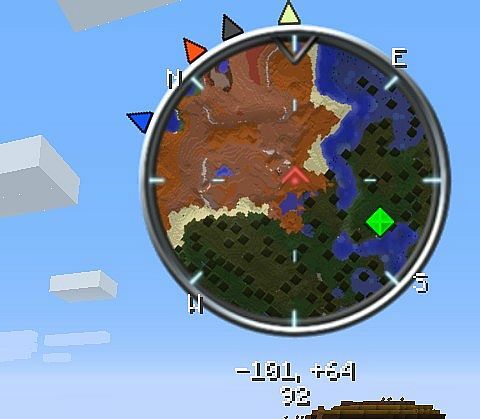 For 1.7.10 and up, the full featured mod with radar and cave mode is likely to be Liteloader only. The Liteloader version includes Client Permissions functionality, allowing servers to disable features using the Client Permissions plugin, without relying on janky color codes in the MOTD.